I am sure you are wondering what was served for drinks at our wedding brunch and this great drink idea came after Lisa looked into mixing cold pressed juices with spirits to make cocktails or ‘juice tails’ as they are being dubbed. 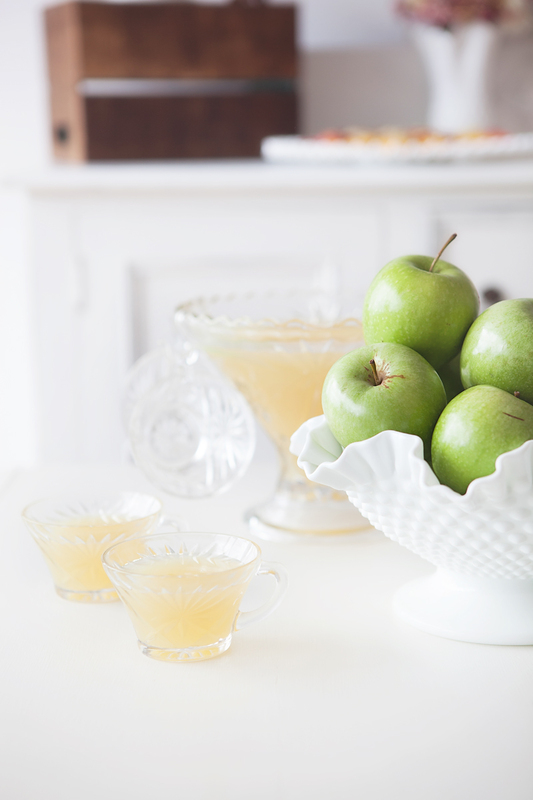 Apple always works well as a cocktail flavour and this mix is perfect for a brunch celebration. To see a selection of pressed juices visit the Pressed Juice Website here. Don’t forget to look back at our weeks worth of Wedding Brunch Posts for more recipe ideas and to see the amazing selection of stands, pedestals and bowls from Pretty Pedestals. 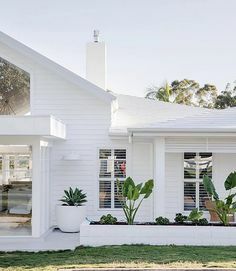 By leaving a comment on any post this week you can go in the draw to win the $200 prize of a hire voucher from Pretty Pedestals. 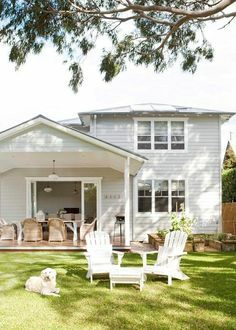 To see all the details visit the post here. 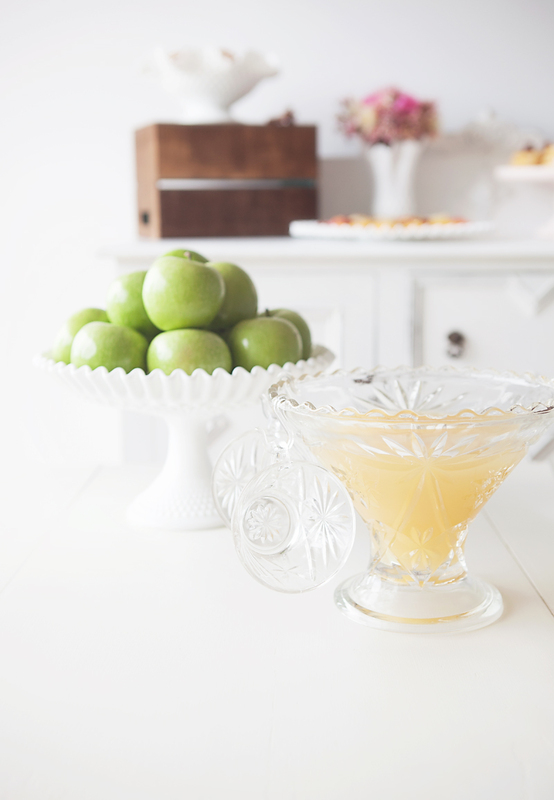 The gorgeous punch bowl is one of the great pieces from Lisa’s collection. As an alternative to the above simply add pressed juice zest to Champagne to create a bellini. 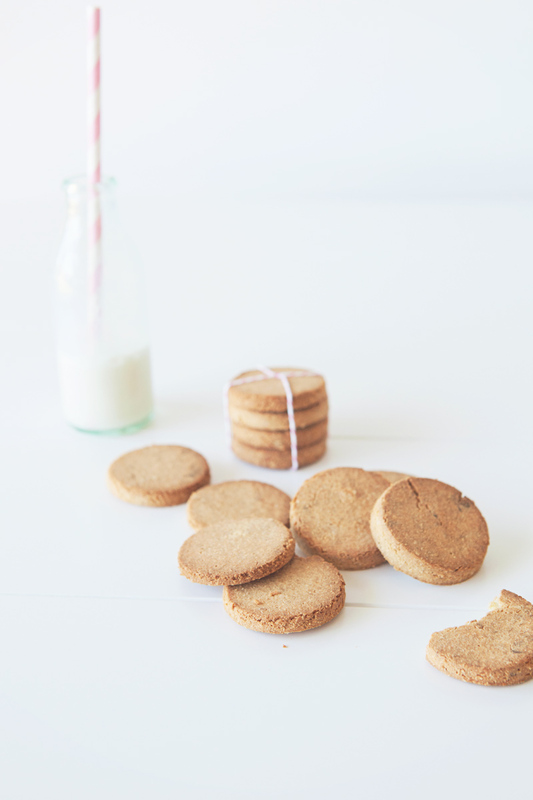 I have been busy baking and making for the kids lately and one of our favourites this week is a great banana smoothie and these delicious butternut biscuits. 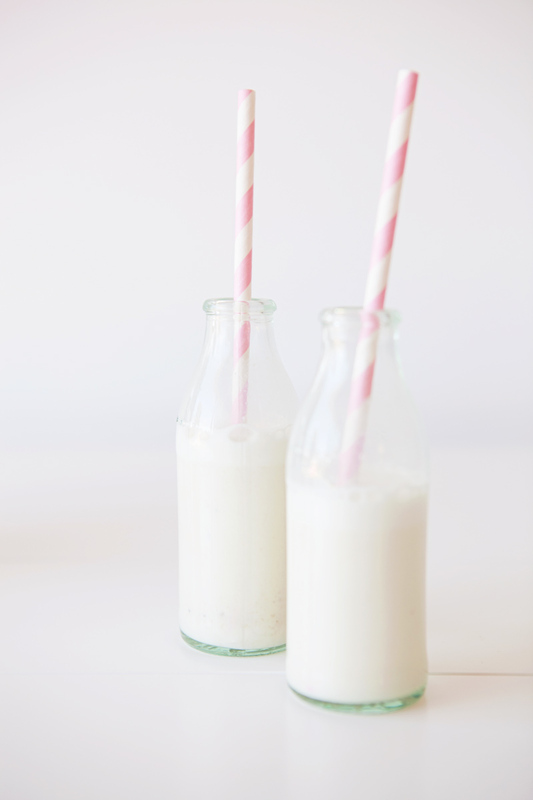 Smoothies are a fantastic drink to serve at parties as they are so good for you and they can be made in a variety of flavours. 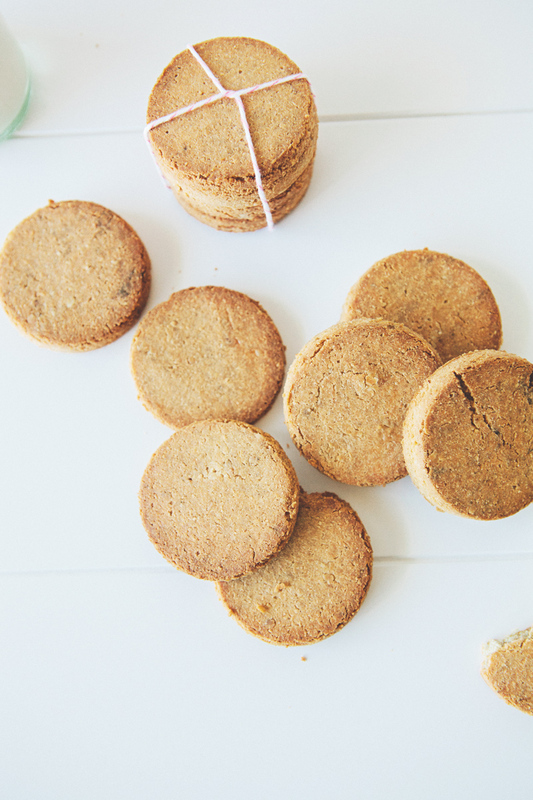 These butternut biscuits are also great on your party table as they are sugar free, wheat free, yeast free and diary free – no sugar high crazy kids after these two healthy options! One ingredient that both of these yummy treats have is Vanilla extract! 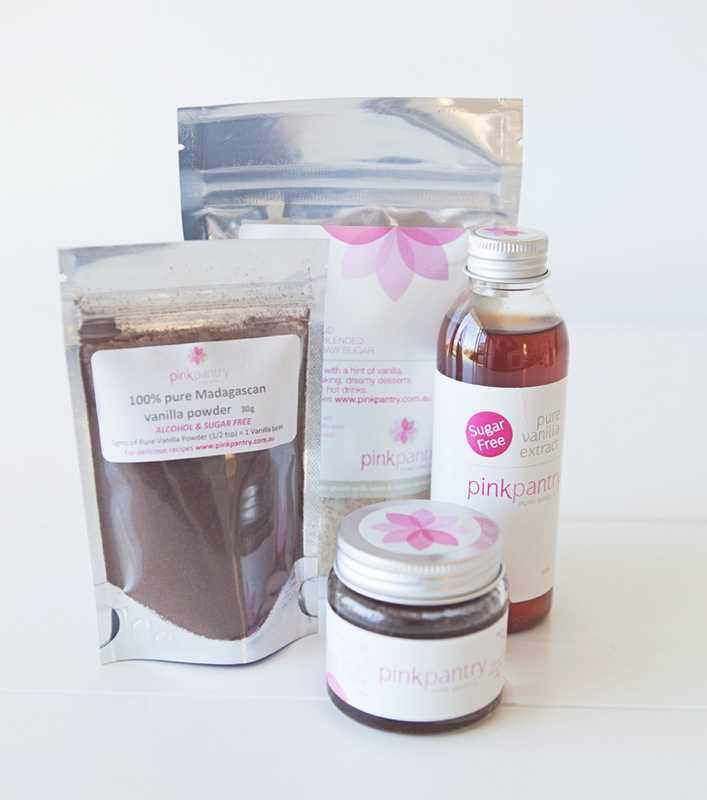 Vanilla is such a wonderful natural sweetener and this one by Pink Pantry Vanilla is my favourite. 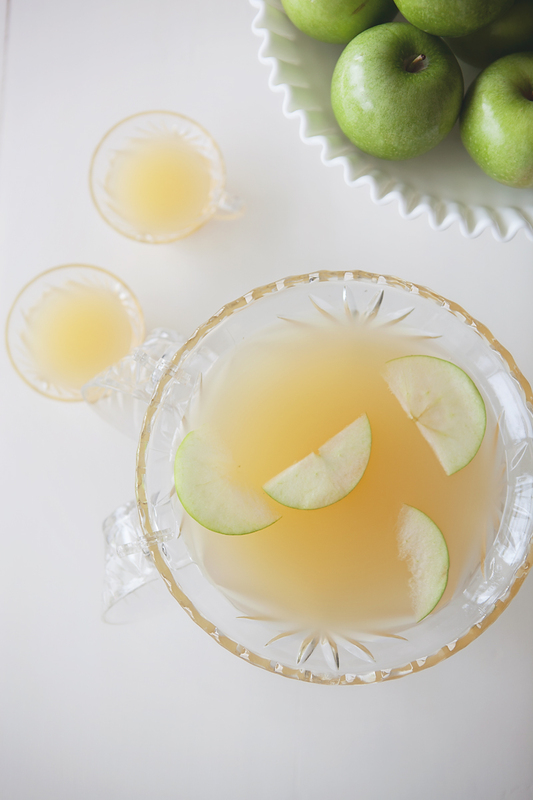 It is sugar free and gluten free and adds the perfect hint of sweetness to your drinks and baked items. We have two packs to giveaway and all you need to do is make sure you like Pink Pantry Vanilla and Sweet Style on Facebook and leave a comment here to tell us your favourite item to add vanilla to. The winner will be drawn on Sunday evening and announced via our Facebook Page. I mentioned yesterday that I attended the Natvia Cupcake Masterclass a few weeks ago but what I didn’t mention was that they also have this amazing sugar free hot chocolate mixture! 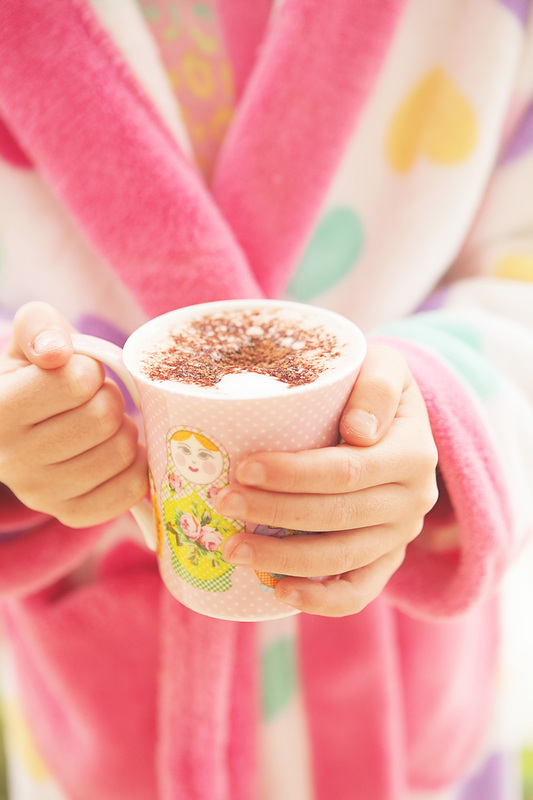 Just like a regular drinking chocolate it is perfect when you want that warm tasty drink but don’t want the calories or importantly any added sugar! My girls love it hot or cold and for once I don’t feel so guilty say “yes”. 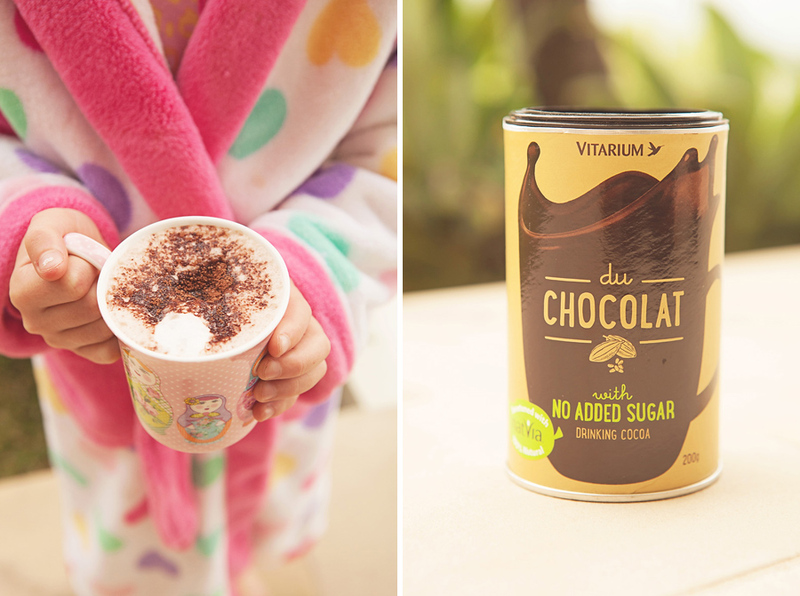 We are currently mixing it up between Banana Smoothies and hot chocolates with breakfast these days and Sofia my 8 year old (and my fussy sweet tooth) just loves this chocolate mix either hot or cold. 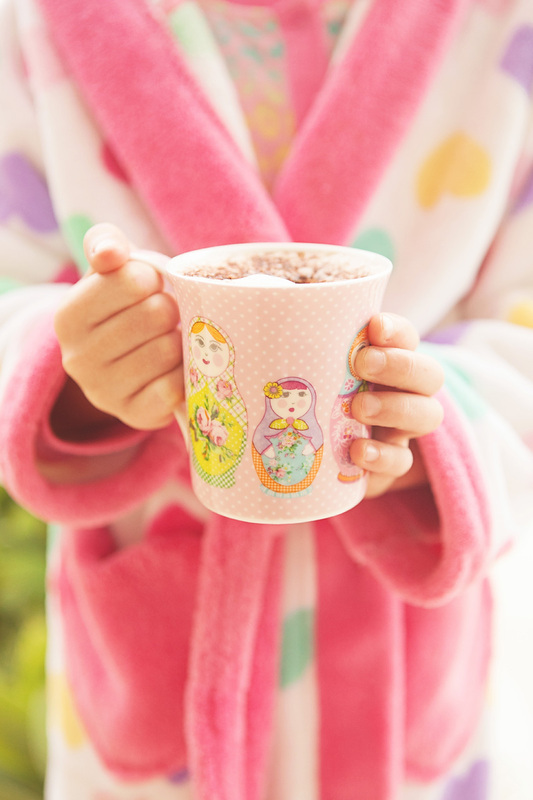 This morning with breakfast it was hot – perfect on our chilly mornings we are still having. You can find this product in your local Woolworths and Coles Supermarkets or visit the Natvia website to find out more. 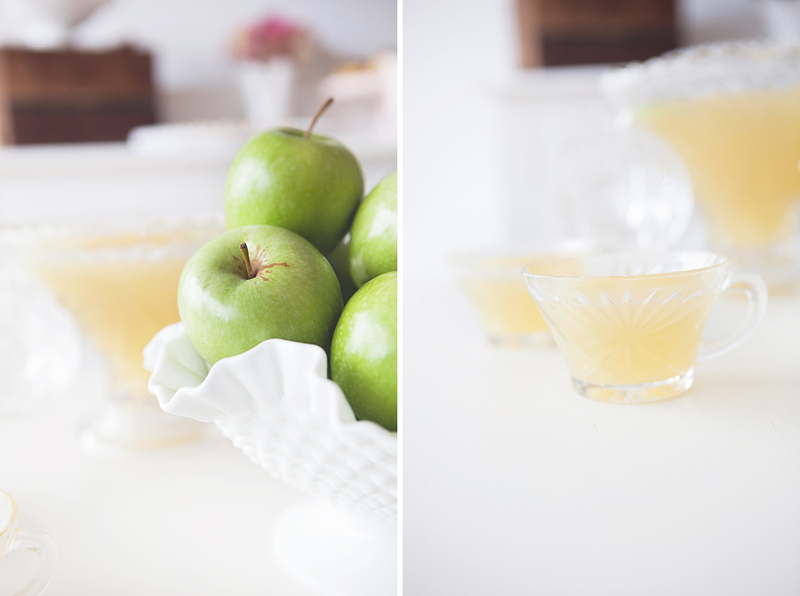 Giveaway Winner & a tip for your next refreshing drink! It is time to announce the winner of this weeks great giveaway with thanks to Milla Cordial. 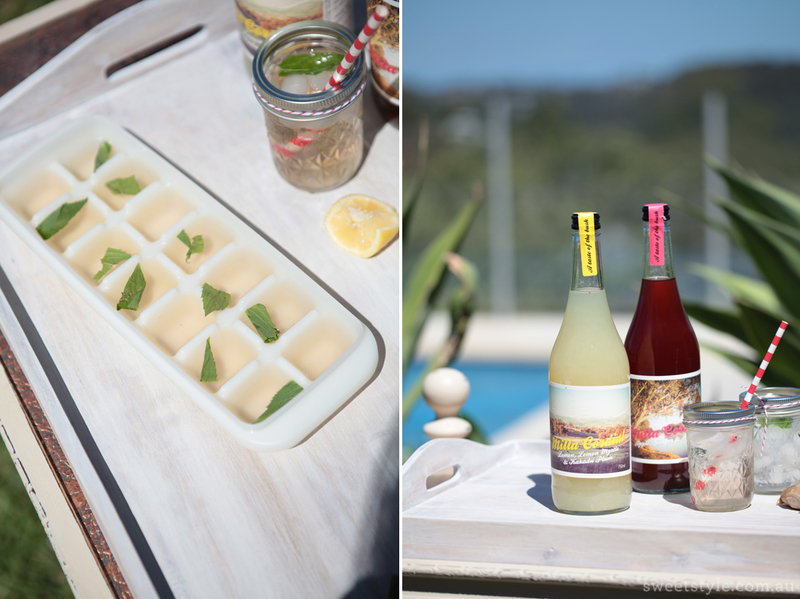 We have had some wonderful suggestions for Aussie bush and fruit ingredients for their next flavour of cordial – we are really blessed to live in a amazing country that has so much to offer in the way of interesting and wholesome flavours. Today’s winner will receive this great etched Mason drinks dispenser as well as both flavours of Milla Cordial and a pack of fun stripe straws. One other thing I am always asked about is what to do with the left over cordial that sometimes is left in the bottom of the dispenser once your guests have left for the day! The perfect solution is to freeze it! 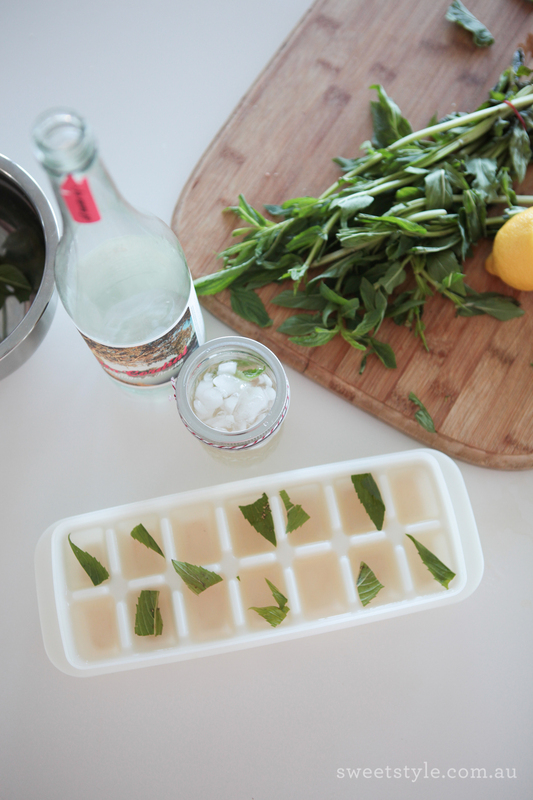 Just tip it into ice cube moulds and freeze so that next time you are after a refreshing drink you just pop a few cubes in some ice cold water or some lemonade to give it a hint of that delicious cordial flavour! 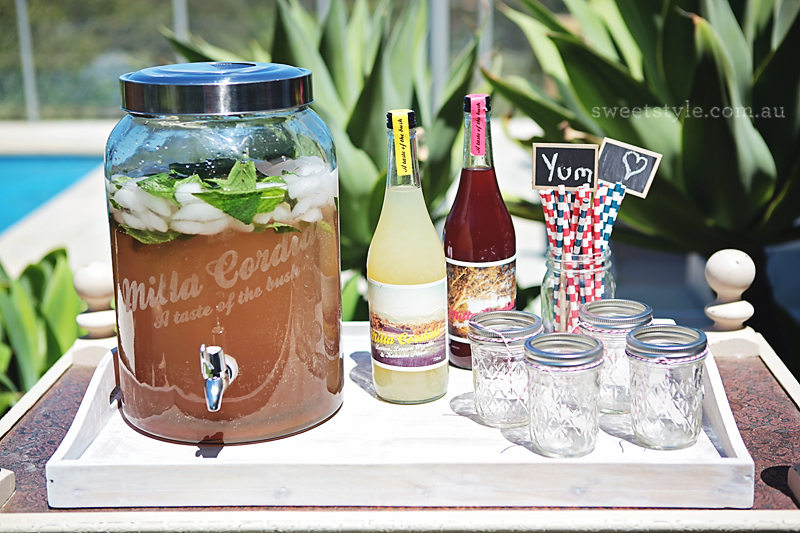 I would host a party just to use that gorgeous dispenser and to try those delicious looking cordials. Oh and my Aussie bush flower flavour suggestion is – sweet tasting Banksia and a dash of honey. Charlie please drop me an email so we can get your goodies posted out to you. Also one final note about a fantastic one day sale we are having in the online store today! 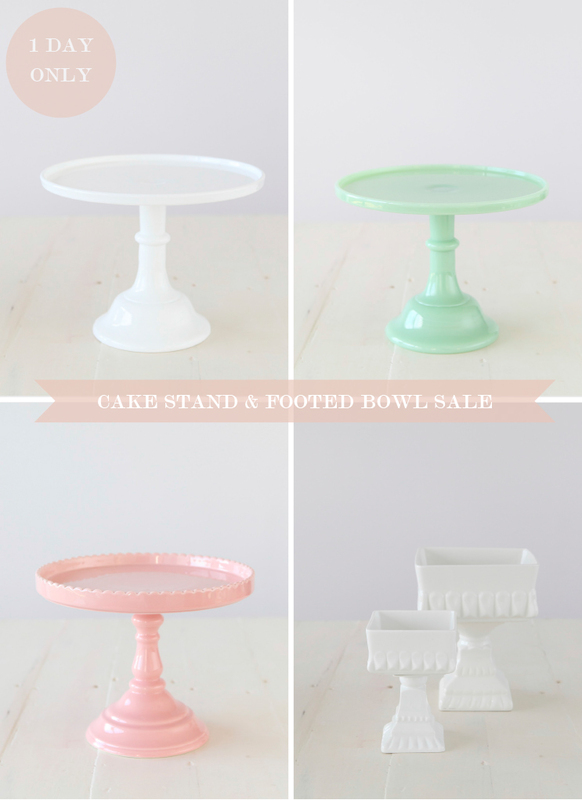 All cake stands and footed bowls have been reduced! This is for one day only so order now for Christmas deliveries! With the party season now in full swing, catching up with friends for drinks is on everyones calendar. I have pulled together a selection of my favourite drinks images from my Delicious Drinks Pinterest Board to get you in the mood. I am working on my very own delicious drink recipe to show you next week but in the meantime enjoy this lovely selection. Would love to know if you have a favourite Christmas Drink you always serve? 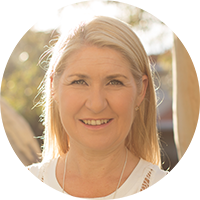 To see what else is inspiring me visit my Pinterest boards here.